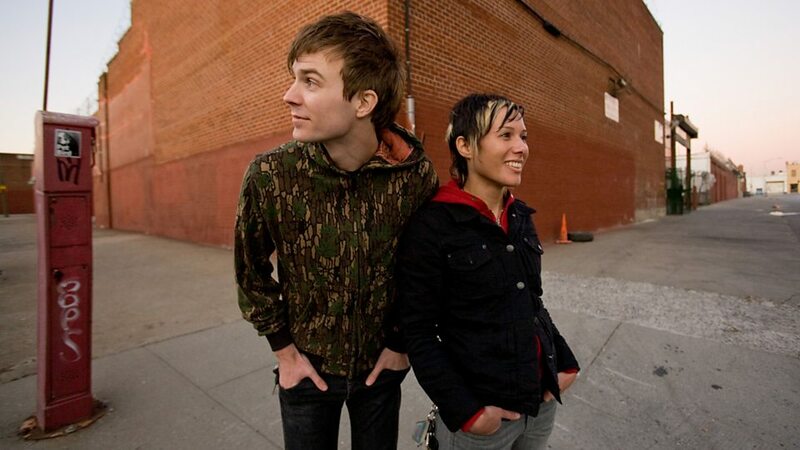 Matt and Kim (sometimes stylized MATT and KIM) are an American indie electronic duo from Brooklyn, New York. 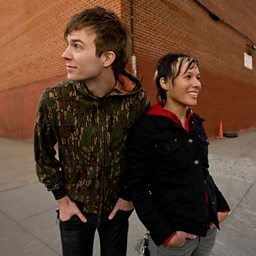 The group formed in 2004 and consists of Matt Johnson (vocals/keyboards) and Kim Schifino (drums). The duo is known for its upbeat dance music and energetic live shows which often incorporate samples from other artists. Although they started their career playing shows in lofts and other close-quarters venues, they have since performed at numerous festivals, including Bonnaroo, Coachella, and the Firefly Music Festival. The duo started performing together in 2004, and have released 6 studio albums. Their 2009 album Grand featured the lead single "Daylight", which was certified gold by the RIAA. The music video for "Lessons Learned", another song on Grand, featured the duo stripping naked in New York's Times Square and won the Breakthrough Video Award at the 2009 MTV Video Music Awards. Their fifth studio album, New Glow, was released in April 2015 by Harvest Records in the United States and Virgin EMI Records internationally. In December 2017, the duo announced a sixth studio album due to be released in spring 2018. The album was later revealed to be titled Almost Everyday and was released on May 4, 2018.